This lovely, updated, 4 bedroom home is located in the quiet neighborhood of Fox Hollow in Magnolia (Caesar Rodney School District). First floor features hardwood flooring in the foyer area along with a spacious kitchen with plenty of counter space and a work island that leads to a 12 x 16 deck. There's also a beautiful dining room flowing from the kitchen and tying into the front living room featuring a wood burning fireplace. The upstairs includes 4 bedrooms, 2 full baths, washer/dryer space, and large closets. The room over the garage (18x18) can serve as an extra entertainment room, "man-cave", or one of the bedrooms since it has closets. The 2 car garage with electric opener is a great amenity for the cold winter ahead. 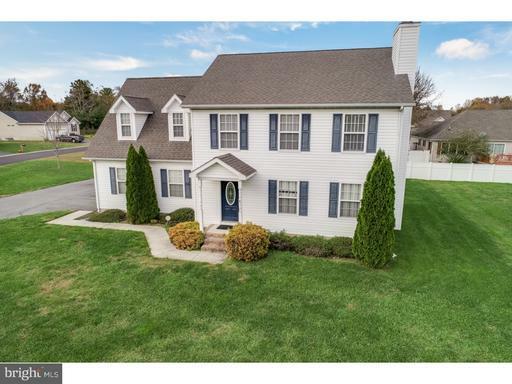 This home won't last long and is approx 10-15 minutes from Dover AFB.